The farm at Fox Island grew just over 40 acres of seed potatoes this year. 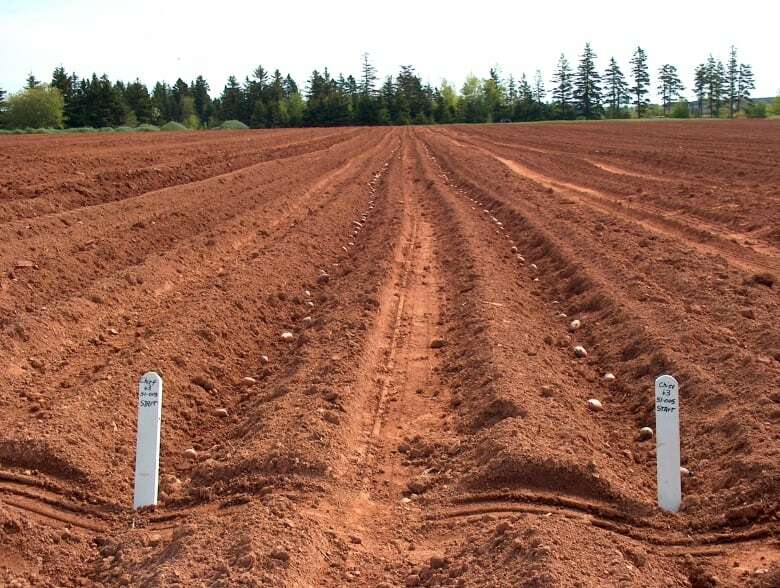 The Prince Edward Island Potato Board is using its seed farm in Fox Island, P.E.I., to get new varieties into Island fields quickly and safely. 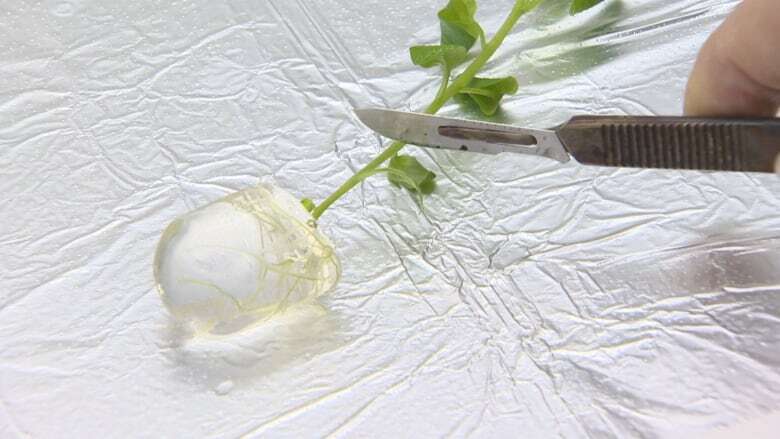 Seed potatoes start in the lab as plantlets grown from tissue culture. They spend the summer in a screen house, before being harvested in the fall. "The priority is to keep everything clean at this stage so it's grown in here in our screen house in an aphid-proof building," said Mary Kay Sonier, seed co-ordinator for the P.E.I. Potato Board. "Aphids spread potato virus diseases so when we go to the field we're starting with as clean as possible seed we can." The mini-tubers are then planted in a field for their second season before being sold as seed. "One of the things we're working on now is new varieties and with the tissue-culture system, it allows us to bulk up new varieties very rapidly," said Sonier. "If there's a new variety for the processing industry or the fresh industry, and they want to get a lot of seed bulked up so they can get it into the marketplace, this process allows us to do that." The farm at Fox Island was purchased by the Potato Board in 1962. This year, they grew just over 16 hectares (40 acres) of seed potatoes. "It's important that we have a local source of seed," Sonier said. "If something were to happen away or there were disease issues away, it could interrupt our seed supply. This ensures our own growers have a good supply of seed for their commercial production." Sonier estimates about 40 per cent of commercial potato acreage on P.E.I. is planted with seed from Fox Island. There are other farms on P.E.I. that produce seed potatoes. "There are other private interests but I think collectively the industry believes it's important they have their own independent operation," said Greg Donald, general manager of the Potato Board. "To give security and minimize risk in the event that something was to happen to some of these other operations." Donald says the Fox Island facility is also important in the introduction of new varieties. "Just like existing varieties, it's important that they're introduced in a fashion that's disease-free," Donald said. When there have been disease outbreaks, the Fox Island farm has accelerated its production. "We had to go through the same scrutiny as other seed potato farms on P.E.I. to make sure the pest wasn't here," Sonier said. 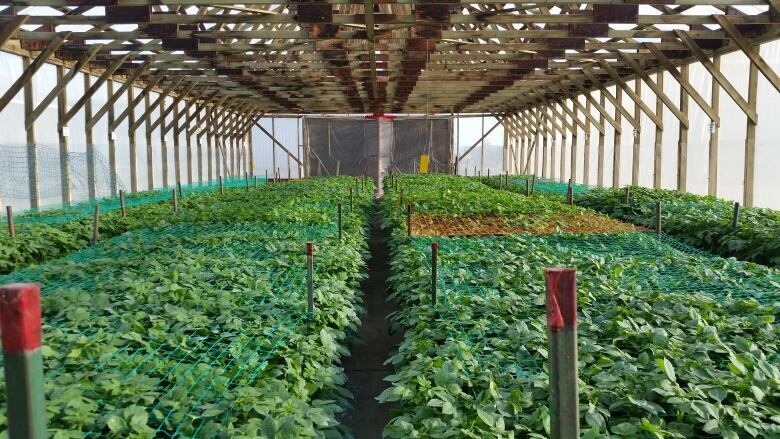 "We were able to bulk up seed quickly to replace some of that lost seed to help fill the gap so growers had a continuous supply and minimize disruption." The Fox Island farm is owned by the potato farmers of P.E.I., who also pay the operating expenses. They set the price for potatoes sold by the farm. "It really depends on the variety, our prices are set by the growers and we try to be competitive," Sonier said. "But it does vary somewhat depending on the variety if it's in short supply or that kind of thing." Sonier said all major potato growing regions have a facility like Fox Island. "I can see us in the future looking more to new varieties and getting them into our growers' hands quickly so they can be competitive in the marketplace," Sonier said.